Most of the people who have been affected by Harvey have begun to get help for their recovery. Undocumented immigrants represent the bulk of those who have not. The water surged into the modest low-lying apartments with the full force of nearby overflowing Greens Bayou, slamming toys and tiny buckled shoes onto countertops and overturning chairs. Byron Soto waded through knee-high water, carrying his toddlers to a second floor. But as the menacing tide edged closer, he used a friend’s inflatable boat to get to a vacant apartment on higher ground at the complex where he and his family are still camped out. He, and others like him in the flooded apartments near Interstate 10 and Federal Road, didn’t think about calling 911. Instead, they did what they often have had to do while living illegally in the United States: They improvised. After all, who would come to their rescue? The president wants them deported. The governor and state Legislature enacted a law allowing police officers to report them, though a federal judge blocked it late last week. Their labor will be needed for the massive reconstruction ahead, yet they are fearful of stepping forward to help their community recover. This is a human tragedy and it breaks my heart. The city of Houston and Mayor Turner have done the right thing by assuring everyone they will get the assistance they need and will not be asked about their immigration status, but these folks have a lot of reasons to be afraid. And now with the termination of DACA, things aren’t about to get any better. If a society is judged by how it treats its poorest and neediest, we’ve got a lot of room to improve. This is going to be a humanitarian catastrophe. It’s going to be devastating for a lot of industries – agriculture, construction, hospitality – all of which will be a drag on Texas’ economy. It will do further damage to our already dented international reputation. And it won’t do a damn thing to make us safer. I wonder what Jeff Sessions will do when churches start offering sanctuary to people who are being targeted. Oh, and it will be a big unfunded mandate on cities and counties, in the same way that the “sanctuary cities” bill in the State Senate will be, if local cops are being required to enforce immigration law. This is going to be very, very ugly. Political Animal, Daily Kos, the Current, and ThinkProgress have more. The U.S. Supreme Court has declined the Obama administration’s request to reconsider a controversial immigration program that would have let millions of undocumented immigrants stay in the country legally. The program, Deferred Action for Parents of Americans and Lawful Permanent Residents, would have shielded about 4 million undocumented immigrants from deportation. It was scheduled to take effect in February 2015 but was halted that month by a U.S. district judge in Brownsville, who ruled that it violated the Administrative Procedure Act, which governs how federal regulations are made and how much input the public has. Texas brought the initial suit against the federal government; 25 states eventually joined in. The U.S. 5th Circuit Court of Appeals twice upheld the district court’s ruling, and the Supreme Court heard arguments on the case in April. The high court announced in June that it was deadlocked 4-4, which left the injunction blocking the program in place. In July the White House asked the Supreme Court if it would reconsider the case when it had a full bench. 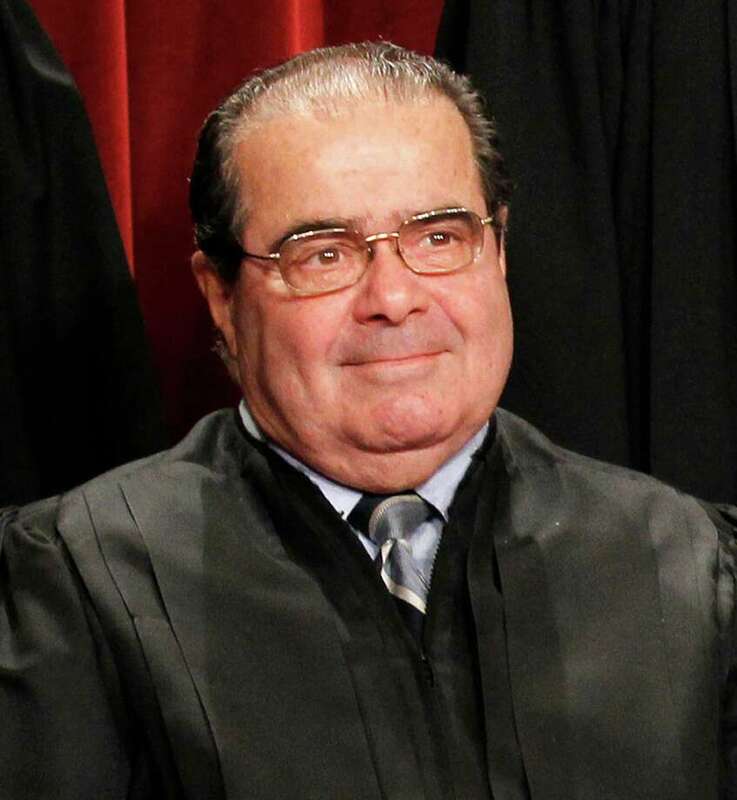 The court is still one short since the February death of Justice Antonin Scalia. On Monday, the court announced it would not. See here for the background. This is far from the end of the story, since this was a preliminary injunction, and the case has not yet been scheduled for a hearing on its merits. Whatever happens then, there will be another round of appeals, and eventually SCOTUS will get involved whether it likes it or not. In addition, as this was a nationwide injunction issued by a federal district court judge, it is entirely possible that a lawsuit originating in a different federal district could lead to a conflicting result. Indeed, such a challenge has already been filed. Martin Jonathan Batalla Vidal is an undocumented immigrant and long-term resident of New York, where he’s lived since his arrival from Mexico nearly 20 years ago. Vidal makes his home in Queens, and, like many other young aspiring Americans, he studies hard to finish his education — he’d like to become a medical assistant — and helps support his family. In November 2014, Vidal filed an application for Deferred Action under DACA 2012; the deportation deferral program enacted by the Obama administration in 2012 which offers qualified immigrant youth a temporary deportation reprieve and a work permit. In early 2015, based on DACA+, which expanded the deportation deferral period of DACA 2012 from two to three years, Vidal was granted a three-year work permit. Then, 2,000 miles away, in a federal courthouse in Brownsville, Texas, Judge Andrew Hanen issued an order blocking DAPA and DACA+. Consequently, the U.S. Department of Homeland Security abruptly revoked Vidal’s 3-year work permit and replaced it with a 2 year card. Vidal was not party to the Texas immigration case. Judge Hanen had no personal jurisdiction over him, nor did he ever set foot in Hanen’s courtroom. So Vidal has asked the U.S. District Court for the Eastern District of New York to declare that Hanen’s “nationwide” injunction against DAPA and DACA+ should not apply to immigrants who live outside the 5th circuit. Vidal asked the court to enjoin the DHS from revoking his 3 year work permit; in effect asking the court to issue an injunction against Hanen’s injunction. It would appear that he may have found a judge sympathetic to that position and not inclined to feel bound by Judge Hanen’s order. So we’ll see what happens from there, assuming that judge does indeed contradict Hanen. Until then, score one for Republican obstruction. Think Progress, Daily Kos, and America’s Voice has more. Can we try this again with nine Justices, please? The Obama administration on Monday asked the U.S. Supreme Court to reconsider the legality of the president’s controversial immigration enforcement plan, which stalled last month when the high court deadlocked on an appeal. The program, known as Deferred Action for Parents of Americans and Lawful Permanent Residents, or DAPA, was announced in November 2014 and would have shielded about 4 million undocumented immigrants from deportation. It was scheduled to go into effect in February 2015 but was halted that month by U.S. District Court Judge Andrew Hanen of Brownsville. Hanen ruled that the administration violated the Administrative Procedure Act, which governs how federal regulations are made and how much input the public has. His decision was upheld by the U.S. 5th Circuit Court of Appeals. The Justice Department appealed to the Supreme Court, but without a full complement of judges after the death of Justice Antonin Scalia the high court deadlocked 4-4, effectively upholding the 5th Circuit’s ruling. In Monday’s filing, the administration asked the court to hear the case again when it has nine justices. “This filing is consistent with historical practice and reflects the need for prompt and definitive resolution of this important case,” Department of Justice Spokeswoman Melanie Newman said in a statement. The filing for rehearing by the Department of Justice concedes the Supreme Court rarely rehears ordinary cases. But it argues it’s not unheard of when the court is missing a justice. See here for the background. As I understand it, all of the cases for which SCOTUS split 4-4 are still basically undecided, since without a definitive SCOTUS ruling there’s no governing opinion, and there remains the chance of conflicting opinions from appeals courts. As such, they can and in most cases will continue on and find their way back to SCOTUS eventually. Here, the district court hasn’t even had a trial – the fight was over the judge’s injunction that put the DAPA and expanded DACA orders on hold pending the litigation – so it makes sense to ask to jump the line when the Court is back at full strength. Assuming it ever is, of course – these days one needs to be careful about what assumptions one operates under. I have no idea how this is going to work, but as I say it can’t hurt to ask. A copy of the petition is here, and SCOTUSBlog, which characterizes this as a “longshot”, has more. ealing a major blow to President Obama’s controversial executive immigration order, the U.S. Supreme Court announced Thursday it had failed to produce a majority opinion on the policy — meaning that the U.S. 5th Circuit Court of Appeals’ November 2015 decision rejecting the policy stands. The program had been blocked in February 2015 by a Brownsville-based federal judge, Andrew Hanen, days before it was scheduled to begin. See here for the last update; there’s a timeline of events on the Trib page. The SCOTUS “ruling” leaves in place Judge Hanen’s ruling, which was upheld by the Fifth Circuit, but it’s unclear how or if it applies anywhere else. It’s not hard to imagine another case originating in, say, California, and getting a different ruling from another appeals court, at which point one presumes SCOTUS will have to deal with this again. Maybe by then SCOTUS will have nine members, or maybe by then President Clinton will have signed an immigration reform bill that makes this all moot. I think we can all agree that SCOTUS’ actions did not resolve anything, and that this issue is now even more important this November. ThinkProgress, Daily Kos, Vox, Wonkblog, the Press, and the Current have more. The Texas-based judge that last year put a hold on President Obama’s executive order on immigration decided on Tuesday to also suspend a controversial punishment he had recently issued to the administration’s attorneys. U.S. District Judge Andrew Hanen asserted in May that the federal government’s attorneys intentionally misled his court during last year’s proceedings over the Obama administration’s order on immigration, known as Deferred Action for Parents of Americans and Lawful Permanent Residents. As punishment, Hanen ordered the government’s attorneys to attend ethics classes in the 26 states that filed suit while directing the Department of Justice to turn over the names and confidential information of about 50,000 undocumented immigrants he said benefited from the administration’s plan prematurely. On Tuesday, however, Hanen put his own order on hold and instead scheduled a status conference on the issue for August. The decision came after critics blasted Hanen’s order as a potential breach of privacy for the tens of thousands of undocumented immigrants. “Judge Hanen was very thoughtful in the way he approached the idea that the 50,000 [deferred action] recipients are really innocent bystanders in this,” said Nina Perales, the vice president of litigation at the Mexican American Legal Defense and Educational Fund, or MALDEF. MALDEF has also asked the 5th Circuit to stop the order outright, a request the group said it would continue to pursue. See here, here, and here for the background. A copy of yesterday’s order is here. I’m glad to see this, but I’ll be rooting for MALDEF to prevail in squashing it for good at the Fifth Circuit. The August status conference will come as we await a decision from SCOTUS as to whether the plaintiffs have standing to sue in the first place. If they don’t, this is all over pending any further sanctions from Judge Hanen. If they do, then we’re just getting started. Needless to say, I’m rooting for the former. A statement from the ACLU of Texas, which had joined with MALDEF and the National Immigration Law Center (NILC) in petitioning the Fifth Circuit to stay Judge Hanen’s sanction order, is beneath the fold. Missed this over the weekend. See here, here, and here for the background. Judge Hanen ordered the information in question to be turned over to him by this Friday, so the DOJ is asking the Fifth Circuit to take action on this by tomorrow. In the meantime, there is a hearing today in Judge Hanen’s court on the request by the DOJ to stay his own order. I kind of feel like they’re not going to get any joy out of that, but you never know. One way or the other, things will happen quickly in this case. The WaPo has more. See here and here for the background. A copy of the writ of mandamus is here, and a copy of the emergency motion for a stay is here. I don’t know what the legalities are for this, but I believe the plaintiffs are right on the merits and I am rooting for them to succeed. A statement from the ACLU on behalf of the petitioners is beneath the fold. Can’t hurt to ask, I guess. The Obama administration has asked a Brownsville-based judge to rethink an order that requires the federal government to turn over the private information of thousands of undocumented immigrants. The May 19 order from U.S. District Judge Andrew Hanen asserted that the federal government’s attorneys intentionally misled the court during proceedings over the Obama admiration’s controversial executive order on immigration, known as Deferred Action for Parents of Americans and Lawful Permanent Residents. The court order included instructions for the federal government to provide Hanen a list of the immigrants who benefited prematurely from DAPA. But in a filing Tuesday, the federal government’s attorneys said providing that list would jeopardize the faith the American people have in one of the government’s largest institutions. “Requiring (Department of Homeland Security) to produce ‘all personal identifiers’ and ‘all available contact information’ for approximately 50,000 individuals by June 10, 2016, could undermine public trust in DHS’s commitment to protecting the confidential information contained in immigration files and will create a significant burden,” the filing states. See here for the background. I have no idea how likely a response like this is to sway a judge, much less one who isn’t particularly friendly to your side. But if the point of the order was to get the Justice Department’s attention and change behaviors that the judge found objectionable, then perhaps this is offered as evidence that it had that effect. I guess we’ll find out if that was enough. Think Progress and Daily Kos have more. The judge is Andrew Hanen, who conservative attorneys opposed to President Obama’s immigration policies appear to have sought out specifically because of his belief that America does not treat immigrants with sufficient hostility.Texas v. United States was filed shortly after President Obama announced policy changes that would permit close to 5 million undocumented immigrants to temporarily work and remain in the country. As the name of the case suggests, the lead plaintiff is the State of Texas, yet the Texas Attorney General’s office did not file this case in Austin, the state’s capitol. Instead, they filed it over five hours away in the town of Brownsville. At the time, only one active federal judge, Judge Hanen, sat in Brownsville, so the attorneys’ decision to file their case nearly 300 miles away meant that it was highly likely that the case would be assigned to a judge that once accused federal officials of engaging in a “dangerous course of action” because they permitted an undocumented mother to be reunited with her child without facing criminal charges. Hanen later issued a nationwide order halting the Obama administration’s new policies. The legality of DAPA and this expansion of DACA (but not the underlying DACA program itself) are now before the Supreme Court. Hanen’s doxing order arises out of a third, less consequential policy change described in the DHS directive. Before the directive, DACA beneficiaries had to reapply every two years. Under the directive, they need to reapply every three years. At an early stage in the litigation, the plaintiffs’ attorneys and Judge Hanen asked Justice Department lawyers whether aspects of the directive would be implemented prior to a January hearing date, and the DOJ attorneys responded that “I really would not expect anything between now and the date of the hearing.” The Justice Department made similar statements at later points in the case. At that time, DAPA and expanded DACA were not yet being implemented, but the shift from two years between DACA renewals to three years was already under way. Hanen claims that the Justice Department attorneys intentionally deceived him by not mentioning the fact that the amount of time afforded to DACA beneficiaries had changed. The Justice Department claims that, at most, they misunderstood what Hanen was asking for. They believed that Hanen was only asking about the dates when DAPA and expanded DACA would be implemented, and not about the shift from two to three years. This distinction matters because, while deliberately misleading a court is a very serious ethical breach, misunderstanding a question is not. In a brief filed in Hanen’s court, the Justice Department attorneys offer their version of events. Hanen’s order calls for two sets of sanctions against the Justice Department. The first requires the government to turn over the personal information — including addresses — of every single one of the more than 100,000 DACA beneficiaries that received a three-year renewal or approval. Though Hanen will initially keep this information under seal, he adds that he shall “on a showing of good cause . . . release the list or a portion thereof to” state authorities in one of the 26 states that sued the administration to halt DAPA and expanded DACA. The Justice Department will almost certainly appeal Hanen’s order to the United States Court of Appeals for the Fifth Circuit or, if necessary, the Supreme Court. Unfortunately for DOJ, the Fifth Circuit is a conservative court and the Texas case has twice wound up in front of an especially conservative panel of Fifth Circuit judges. One of these judges has his own history of issuing questionable sanctions against the Obama administration. Nevertheless, Hanen’s order is sufficiently unusual that it may cause even these judges to blink. Judges, after all, are lawyers. And many of them know what it is like to be on the receiving end of a judge who seems to have it in for you. See here and here for lots of background. I have no idea what to make of this, but good Lord this judge is a mess. Daily Kos has more. Hard to say how this will go. A shorthanded Supreme Court heard a Texas-led challenge against President Barack Obama’s 2014 immigration plan Monday with sharp questions about whether the state could bring the case to begin with and if the president had overstepped. The eight justices appeared largely divided with the four liberal justices asking questions that seemed to indicate it supported the president’s plan while the four conservative justices questioned the limits of his executive authority. Chief Justice John Roberts is considered a contender to side with the four liberal judges in deciding that Texas isn’t able to bring the suit in the first place because it can’t prove it will suffer as a result of the program, necessary for it to sue in federal court. Texas said it would lose money if it is required to provide driver’s licenses to the nearly 600,000 immigrants who would be eligible for a provisional work permit through the president’s plan. The state subsidizes the document by about $130. But U.S. Solicitor General Donald Verrilli argued Monday that Texas could simply change its policy and not offer these immigrants licenses or choose not to offset the cost of the documents. 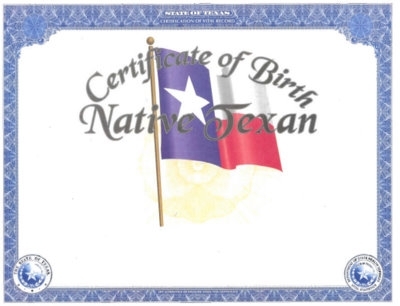 Roberts, who has taken a narrow position on so-called standing in the past, noted that not granting licenses to certain immigrants with work authorization when others with a similar status have them could be considered discriminatory, putting Texas in a tough spot. He asked Verrilli whether the injury Texas argues it might suffer is similar to a 2007 environmental case in which Massachusetts sued the Environmental Protection Agency about its refusal to regulate vehicle emissions linked to climate change. “There wasn’t a way for Massachusetts to avoid the effects of climate change but there is a way here,” Verrilli said, because Texas isn’t required to discount the license. Massachusetts had argued that rising seawater, a result of global warming, would erode its coastline and hurt the state, giving it sufficient claim to sue the federal government. The state prevailed but Roberts led the court’s conservative dissent, arguing Massachusetts could not prove it was hurt by the government’s policy. Monday Justice Stephen Breyer noted that the state’s main argument that it would be harmed is that it would lose money. “We can’t just let you sue on the basis that you as a taxpayer would pay more money,” he said. “Because if we do, taxpayers from all over the country would sue” about their unhappiness with any number of federal programs. See here for more. TPM‘s report on the oral arguments sounded a pessimistic note for the feds, while Daily Kos and Think Progress were more buoyant. The key question seems to be whether the states have standing to sue. If SCOTUS rules that they don’t, then this is over and the program can be implemented immediately, though at this point it’s unclear how much effect it may have, given its uncertainty past November. If they do have standing, then the case goes back to the district court for a hearing on the merits (which won’t go well for the feds, given the original judge and his ruling to suspend the program), and nothing will get resolved for several years. That may also open the floodgates for other litigation like this. A 4-4 tie is a win for the plaintiffs, since the lower courts ruled in their favor. The Obama administration needs at least one conservative judge to buy into its arguments about standing. The Trib, SCOTUSBlog, Daily Kos, Think Progress, and Trail Blazers have more. Another day, another huge Supreme Court case involving Texas, a big policy item from President Obama at stake, and the fate of millions of people hanging in the balance. The Supreme Court on Monday will hear the matter, one of its most significant this term, and a decision could be the most important related to immigration in decades. At stake is the extent of power the executive branch can wield and the fate of about 4 million immigrants potentially eligible for the program, most of whom have lived here illegally for more than 10 years. It’s put Texas in the peculiar position of arguing against an initiative that essentially already exists and that as a policy once held bipartisan support. If the state prevails, it could signal the end of Obama’s original youth permit program too. It all underscores how far the pendulum against immigration reform has swung since President George W. Bush pushed a comprehensive overhaul nearly a decade ago. 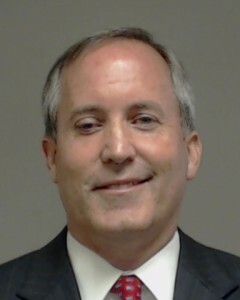 Texas Attorney General Ken Paxton said the state’s lawsuit is not about immigration per se but whether the president has the authority to make a sweeping policy change that Texas argues is at odds with Obama’s obligation to enforce immigration law. The Obama administration argues that it’s not in fact making new law, but prioritizing whom it should deport as mandated by Congress itself. Legislators allocate about $6 billion a year to enforce immigration, enough to deport roughly 300,000 immigrants, a fraction of the 11 million in the country illegally, Justice Department lawyers said in their brief filed last month with the Supreme Court. At issue in both programs – deferred action for childhood arrivals, known as DACA, and deferred action for the parents of Americans, or DAPA – is a practice the government has employed as far back as the 1960s. But it was first publicly revealed when the Nixon White House tried to deport Beatles frontman John Lennon in 1972. Texas doesn’t dispute the administration’s right to grant deferred action. But it contends the president’s programs allow a mass group of immigrants to apply, who are almost all approved. Typically deferral is granted on a case-by-case basis for people already in deportation proceedings. The state argues the initiatives improperly grant immigrants a “lawful presence,” while the administration contends the permits can be repealed at any time and their recipients deported. In its brief, the government said more than 20 such policies for large classes of people have been enacted since the 1960s, including for Cubans after the island’s revolution and more than 1.5 million spouses and children of immigrants who were granted residency under President Ronald Reagan’s 1986 reforms. It also cites its 2012 youth program, which is similar in scope, but was not challenged by Texas. Paxton said he didn’t know why the state didn’t argue the constitutionality of DACA. It’s an interesting exclusion, given that the legal arguments for both DACA and its 2014 spin-off for parents, DAPA, are basically identical, said Stephen Legomsky, a law professor at Washington University and former chief counsel to U.S. Citizenship and Immigration Services. See here and here for some background. There will be a ton of coverage of the arguments and the Justices’ reactions to them and all that, and I’ll post about that tomorrow. This is just a placeholder to remind you that today is the day for this, and what it’s all about as we wait. UPDATE: The Trib has a nice comprehensive timeline of events in this case. Texas Attorney General Ken Paxton filed a brief with the U.S. Supreme Court Monday arguing against President Barack Obama’s plan to shield from deportation nearly 5 million people here illegally and give them temporary work permits. In the brief Monday, Paxton’s office reiterated its arguments, saying that at least 500,000 immigrants in the state would be eligible for the driver’s licenses and, at a cost of $130 a license, it could lose “millions of dollars” even if just a fraction of them applied. Advocates of the plan have argued that the state would also see millions of dollars in additional tax revenue as immigrants with work permits have to pay taxes and tend to be paid more. In the brief, Paxton also argued that the president should have sought public comment because “public interest in providing input on one of the largest immigration policy changes in the nation’s history is extraordinarily high.” He also argued that the program in effect is a mandate and not discretionary according to each application and thus requires Congressional approval. See here for the background. I have always found the “but we have to provide them with drivers licenses!” argument to be weak. I’m pretty sure if you figured out just how much these folks contribute to the state in sales taxes alone, it would more than cover that bill. And if you tote up the full economic contributions these folks make to the economy, which Texas would lose if they managed to prevail in this stupid lawsuit, it’s way more than that. As for the Scalia Factor, since the Fifth Circuit upheld the lower court’s ruling against the Obama executive order, we’ll need the Good Anthony Kennedy to be in the courthouse for a favorable outcome. Here’s hoping. The city of Houston has added its voice to a friend of the court brief in the looming U.S. Supreme Court showdown over President Obama’s late-2014 executive actions on immigration, Mayor Sylvester Turner said Tuesday. Calling the president’s decisions “common sense and humane,” Turner urged the court to overturn lower court injunctions that have blocked the implementation of Obama’s plans. See here for the background, and here for the Mayor’s press release, which touts the city’s Office of International Communities and Refugee Affairs for folks who are looking to achieve citizenship and need a little help. Also getting into the amicus game are Congressional Democrats. More than 200 Democrats are backing a new amicus brief that will be filed later Tuesday with the high court, arguing the controversial actions Obama took in November 2014 that could defer deportations and grant work permits to more than 4 million immigrants in the United States illegally are both legal and constitutional. Now, Democrats are quickly trying to counter the GOP’s offensive against Obama’s actions. The new amicus brief from Democrats also delves deeper into a new legal question that the Supreme Court will consider: whether Obama violated the “Take Care” clause, which essentially calls on the president to “take care” that laws are faithfully executed. Democrats are insisting that Obama is not violating the “Take Care” clause because the executive actions are well within the authority of Homeland Security Secretary Jeh Johnson, whose sprawling agency oversees immigration matters. Because Congress sets aside a finite amount of money for deporting undocumented immigrants every year (that figure is generally estimated at 400,000 immigrants annually, while there are an estimated 11 million undocumented immigrants in the United States), Homeland Security officials have to set priorities for who to deport with those limited resources. Obama’s executive actions lay out such priorities, and because Democrats believe doing so is within Johnson’s authority, it “by definition reflects the faithful execution of the law,” Democrats say. Oral arguments are scheduled for April 18. I’m sure there will be plenty more filings before then. The Supreme Court on Tuesday said it will decide whether President Obama has the authority to declare that millions of illegal immigrants be allowed to remain and work in the United States without fear of deportation. The court will probably hear the case in April, with a ruling before it adjourns in June. It provides the last chance that the administration would have to implement the program, announced by Obama in 2014, before he leaves office next January. The program would affect nearly 4 million people. The administration says the program is a way for a government with limited resources to prioritize which illegal immigrants it will move first to deport. To say the least, the Court has a crowded and consequential docket for its spring term. As always, we hope for the best. 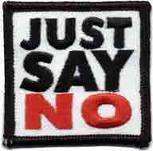 SCOTUSBlog, the Trib, the Chron, Think Progress, United We Dream, SEIU Texas, and Kevin Drum have more. The Supreme Court on Tuesday granted twenty-six states an extra eight days to file their response to the Obama administration’s appeal in defense of its broad new immigration policy. That extension — considerably less than the added thirty days the states had sought — makes it more likely that the case, United States v. Texas, will go before the Justices this Term. The Court did not release a separate order on the issue, but Supreme Court Clerk Scott Harris simply notified the lawyers in the case that the normal thirty days for a brief in opposition would be extended by eight days — until December 29. The states opposed to the new delayed-deportation policy had asked the Court to give them twice the usual time to respond. The administration, however, was opposed to that, but it told the Court that it would not oppose an eight-day extension, which is what the Court chose to grant. The action by the Justices is not an agreement to review the case. That will be decided only after the preliminary filings are in. If the Court were to put the case on the January 15 list, and agree at that time to decide it, it could be heard in April and decided before the summer recess. Verrilli had said that, if the schedule got delayed by a longer extension for the states’ filing, the case even if granted would probably not be heard until a special sitting in May. The Court normally finishes hearing cases in a Term in April, and does not like to go beyond that schedule. See here, here, and here for the background. I’m pleased by this and hope it leads to the April hearing that the feds have requested. A statement from the Texas Organizing Project is beneath the fold, and the Trib and ThinkProgress have more. It was the federal government’s move Tuesday, and the U.S. Department of Justice asked the court to reject Texas’ request for a 30-day extension to file its brief in the case, but says it is open to an eight-day delay if the response is “physically on file” at that time. A full delay could mean the high court doesn’t render a final decision on the program — known as Deferred Action for Parents of Americans and Lawful Permanent Residents — until June 2017, U.S. Solicitor General Donald B. Verrilli Jr. said in a letter to Supreme Court Clerk Scott S. Harris. That would be more than two years after the president announced the policy that would protect more than four million undocumented immigrants from deportation proceedings and allow them to apply for three-year work permits. It’s unclear when the high court will decide on the extension, but the justice department said it’s prepared to press on should the extension be granted. “We note, however, that should state respondents’ request for a 30-day extension be granted, we anticipate filing a motion for expedition and a May argument session to permit the case to be heard this Term,” Verrilli wrote. See here, here, and here for the background. Not much to add here. I trust we will know soon enough what the answer is, because if we’re left to wait for a response then won’t be anything to respond to. A statement from the Texas Organizing Project is beneath the fold, and the Current and SCOTUSBlog, which has a copy of the feds’ response, have more. See here and here for the background. The complaint that the Obama administration has slowed things down is pretty ridiculous; this appeal was filed less than two weeks after the Fifth Circuit issued its ruling, and there was no request made for an en banc review. If you really want to complain about the timing, take it up with the two judges that wrote the majority opinion, as their dissenting colleague criticized them for taking so damn long to rule. I’m rooting for SCOTUS to deny this request. The Obama administration on Friday asked the United States Supreme Court to review a federal appellate court’s ruling that struck down the president’s controversial immigration program. See here for the background. It’s hard to imagine SCOTUS not wanting to take this, it’s mostly a question of whether they take it for the next session, so as to have a ruling before the next Presidential election. That’s what I’m hoping for. Not much more to say at this point beyond that. A statement from the Texas Organizing Project is beneath the fold, and Daily Kos has more. A three-judge panel of the U.S. 5th Circuit Court of Appeals has once again ruled against the Obama administration’s controversial immigration program, upholding a lower court’s injunction barring the plan from taking effect while awaiting the outcome of a full trial on the lawsuit’s underlying arguments. Attorneys for the state of Texas had argued that in addition to circumventing Congress and abusing his authority to enact immigration laws, the president’s order would cause the state harm in the cost of providing undocumented immigrants driver’s licenses and other benefits. “Separately, the United States postulates that the injunction prevents DHS from effectively prioritizing illegal aliens for removal. But the injunction ‘does not enjoin or impair the Secretary’s ability to marshal his assets or deploy the resources of the DHS [or] to set priorities,'” the opinion states. The next step for the administration will likely be an appeal before the U.S. Supreme Court. But it’s unclear whether the high court, which began its current term last month, has enough time to consider the case. See here, here, and here for some background. The small bit of good news out of this is that there’s some (though not much) time for this ruling to be appealed to SCOTUS for their spring docket, which would be the last chance for this to be decided while President Obama is still in office. (In fact, the Obama administration has already said that it will appeal to SCOTUS.) After that, whatever happens will be up to the next President and what Congress and the courts allow. A statement from the Texas Organizing Project is beneath the fold, and the Associated Press, Think Progress, the Washington Post, and the Press have more. We’ll see, but as always with this court it is better to expect the worst and hope to be pleasantly surprised. Noise from hundreds of chanting immigration activists outside a federal appeals court building competed at times Friday with lawyers arguing inside over President Barack Obama’s proposal to shield an estimated 5 million people from deportation who are in the U.S. illegally. “The three judges felt the vibrancy and power of our movement,” said Marielena Hincapie, of the National Immigration Law Center, speaking to the crowd that rallied while a panel of the 5th U.S. Circuit Court of Appeals heard the case. Demonstrators gathered on the steps of the federal courthouse with permission from authorities, their chanting mixed with speeches in English and Spanish and music from a brass band. Activists criticized Republican resistance to the Obama program and called for policies that let immigrants stay and work in the country. Scott Keller, representing the Texas Solicitor General’s Office, argued that the administration was doing more than simply deferring action. He said the plan would effectively grant a new legal status – legal presence – to people in the country illegally, putting them in line to get permission to work and benefit from Social Security. Judge Carolyn Dineen King seemed skeptical of that argument at times, noting that deferred action wouldn’t change the fact that someone entered the country illegally and would not protect them from deportation under any circumstance. “Based on the unlawful thing that they did to begin with, you can turn them out tomorrow,” she said. Arguments also settled on whether Texas and the states even have the power to challenge the federal executive branch’s authority to regulate immigration. Arguments on that issue largely have centered on the costs Texas would incur by having to issue driver licenses to DAPA beneficiaries – an injury, the state argued – that gave them the right to sue. Two of the judges on Friday’s panel, Jerry Smith and Jennifer Walker Elrod, were in the majority on a panel that voted 2-1 in May against allowing the deferred action programs to continue pending the appeal outcome. In that opinion, they disagreed with government contentions that Texas had no standing. They also ruled that the Obama action was subject to judicial review under the federal Administrative Procedures Act, which the Justice Department disputes. See here and here for some background. The previous order from the court on the injunction suggested there may be some cause for optimism, but the hearing itself didn’t appear to support that. Complicating things further, while this lawsuit was brought by several states and has halted the immigration plan nationwide, several other states and dozens of cities, including Houston, have filed amicus briefs on behalf of the administration. There’s no indication when the Fifth Circuit may rule, and it seems likely this could stretch out into the term of the next President, especially if it goes to SCOTUS. Just another reason why 2016 matters, since quite a few of the candidates out there would be more than happy to drop the appeal. The Trib and BOR have more.